The CH slot mixer is widely used in the pharmaceutical, chemical, and foodstuff industries for mixing powdered or wet material, and insuring completely uniform mixing of all materials. There is little clearance between the mixing paddle and slot chamber, so there is no dead angle for mixing. The slot mixer is equipped with a top cover, and the mixing shaft is sealed, in order to avoid any material loss. 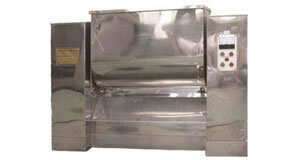 An inclinable slot mixing chamber makes for easy discharging of material, and it is convenient to operate. Our company is a specialized slot mixer manufacturer in China. 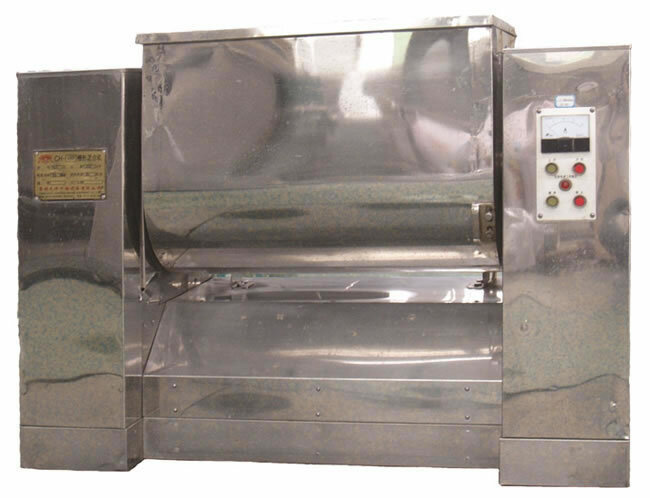 In addition, we offer a three-dimensional motion mixer, belt drying equipment, circle vibrate sieve, fluid bed granulator and more.